Voted Best of Marco 2010! Marco Island’s # 1 Buyer Volume Agent (out of over 500 local Realtors). Founder Kent Hedrick has become Marco Island’s “Go To” Agent for market knowledge and has a reputation for searching out the absolute best buying opportunities. Kent’s financial background and strong analytical skills provide his clients with an in depth understanding of the local Real Estate market before jumping in. 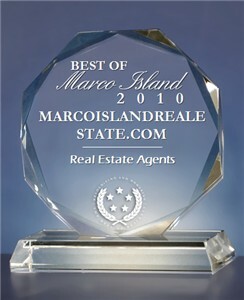 As one of the 1st Realtors on the Island to build a “content rich” web site: MarcoIslandRealEstate.com (Released in 1998). He expanded his Marketing presence with over 20 community web sites – full with detailed information: site plans, floor plans, pictures, and IDX links to units for sale within the communities. As of this writing, Kent has maintained his # 1 generic search result placement with all the major search engines – a continuation of marketing success since 1998. His team is now in the process of revamping all the community sites to include drone footage and virtual vacation properties. Kent is well respected within the Marco Island area, not only for his proven track record and high ethical standards but also for his “above and beyond” approach for ensuring his client’s 100% satisfaction with the end result. He makes dreams come to life. When it comes to selecting a Real Estate Agent we know you have lots of choices. An advantage of choosing our small, local brokerage is that we have the freedom to offer you incentives larger companies don’t (see our buyer and seller bonus tabs for more details). We can also offer you 20 years of expert knowledge and experience when it comes to finding your dream home on Marco. As one of the first professionals on the island to employ the use of content rich websites, Kent Hedrick and his team has had a finger on the pulse of Marco Island real estate since 1997. Buying and selling real estate is an important decision, that’s why we take the time to get to know you and really understand what you’re looking for. Our tight-knit team will make you feel like more than just our client. We think of it as a partnership; you put your faith in us and in return we find you the property that provides the right fit at the best possible price. Buyers Bonus: Purchase your next property with us and obtain a credit at closing for $500 up to $5,000! When it comes time to close you can count on cash back from us. Whether it’s a moving related cost, a maintenance fee, a security deposit, or any other expenses incurred we have you covered with guaranteed cash back. We appreciate your business and this is our way of showing it. + 3% Commission to the Buyers Agent (we never discount the Buying side of the transaction, as we encourage all Realtors to Show & Sell your property).